Don't worry, 'Star Wars' fans: J.J. Abrams promises minimal lens flare - trendistic.com: ever tried. ever failed. no matter. try again. fail again. fail better. 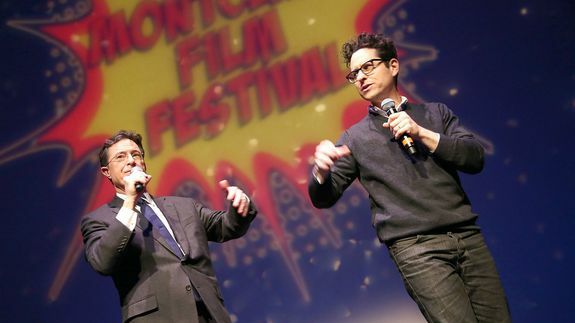 That’s how many lens flares appear in Star Trek, as Stephen Colbert told J.J. Abrams during a spirited Saturday evening fundraiser for New Jersey’s Montclair Film Festival. It’s something Abrams has been dinged about in a number of his more recent films, including Super 8 and both Treks, so Colbert called him on it during their two-hour chat. ‘Doctor Who’ Episode 10 review: What does the raven say? Is Samsung’s Galaxy Note7 really the best phone?